This week at the 2017 Medical Innovation Summit, Cleveland Clinic and JumpStart Inc.announced a three-year partnershipwith Silicon Valley’s renowned Plug and Play Inc. to bring a new biotech and digital health innovation accelerator to downtown Cleveland. 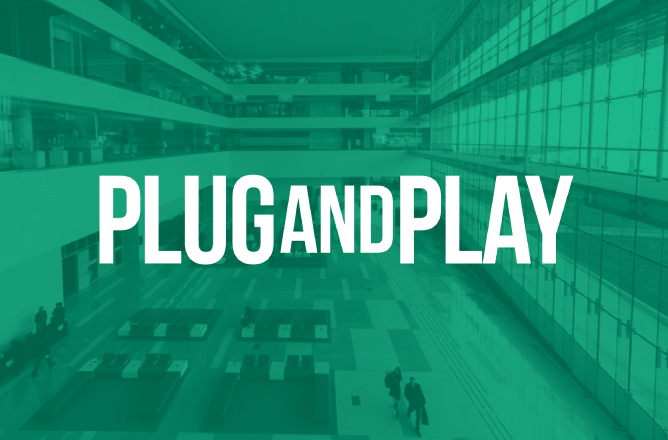 Headquartered in Sunnyvale, Calif., Plug and Play is one of the world’s best and largest accelerator programs. The operation has grown from the original Plug and Play Tech Center — the famous Palo Alto office space that once housed early tenants such as Google, Dropbox and PayPal — into an organization with a presence in 24 other locations across the globe. Despite the overall size and scope of Plug and Play, this will be just their second U.S.-based accelerator program — putting Northeast Ohio in some rare company. And while we’re extremely proud to be a partner in this effort, none of it could or would have happened without the leadership of the Cleveland Clinic — an organization that has become synonymous with our region’s reputation as a growing hotbed of healthcare innovation. Beginning in spring 2018, this accelerator will operate two cohort programs per year featuring 10 companies in each cohort. Spread across three years, hundreds of startups from across the globe are expected to vie for one of these 60 slots, including our own homegrown startups. Northeast Ohio already has an excellent group of local startups and the number is only expected to rise after huge successes from startups like CardioInsight and CoverMyMeds, two companies that were founded here and later acquired by massive players in their respective industries. Still, if there’s one lesson we can learn from our friends in Silicon Valley it’s this — it’s never a bad thing to have more innovative companies in your backyard. More than 20 Fortune 1000 companies have their corporate headquarters in Northeast Ohio, but our region hasn’t yet perfected how to connect those companies — and the many others with a presence in our region — to new innovations in their industries. That’s where Plug and Play comes in. They have a unique model that differentiates them from other accelerator programs by focusing on connecting startups with their robust network of more than 200+ corporate partners, many of whom agree to partner with startups in the program to pilot their new health care innovations. In fact, Cleveland Clinic has already agreed to collaborate with up to six Plug and Play cohort companies each year. Other Ohio-based corporate Plug and Play partners include well-known names such as Sherwin-Williams, Goodyear, Proctor & Gamble, Avery Dennison, Westfield Insurance, Cincinnati Financial, Nationwide and American Greetings. In addition to their corporate partners, Plug and Play also maintains strong ties with 200 leading Silicon Valley venture capital partners, who pay close attention to startups in their accelerator programs when considering future investment opportunities. Meanwhile, Plug and Play itself invests anywhere from $25,000 to $500,000 into more than 150 companies each year. These relationships put more eyes on Cleveland at a time when many coastal investors are rethinking their perspectives on the Midwest, recognizing it as an overlooked innovation hub. Combined with an increasing amount of dry powder from Ohio-based investors and corporations that are getting more comfortable with seeing startups as potential growth partners, and you have an exciting climate for entrepreneurs. Northeast Ohio is already home to world-renowned health care facilities, with a booming biotechnology and biomedical industry that includes more than 700 companies and 230,000 employees. The Plug and Play Cleveland HealthTech Accelerator will help continue the growth of our health care-based economy. Not only will that lead to a more robust economic growth in Northeast Ohio and help corporations who are looking for new innovations to increase their competitiveness — it will also lead to a better quality of life for people around the world who depend on these health care innovations. To learn more about the Plug and Play Cleveland HealthTech Accelerator, sign up for our email updates to get the latest information.